Research suggests that employee incentives, such as discounts on leisure activities or wellness-related items, can encourage healthier lifestyles. Rebekah Haymes of health and benefits consultancy Towers Watson looks at the implications of the findings. The role of health incentives has been a subject that many UK employers have not embraced. Evidence suggests that the inclusion of incentives alongside wellbeing programmes has not been prevalent, with only 9% of UK employers recently surveyed offering them. However, as employers face a challenge to increase employee engagement in health, perhaps incentives will start to have a place. At the same time, is there a greater chance for employers to focus on effective education and communication to encourage employees to buy into a culture of health and embark on healthy lifestyles for their own peace of mind? It is important to consider why employers want to ensure that a wellbeing strategy delivers results. While we have seen employers turn their attention to the preventative measures that wellbeing presents, many employers are too focused on tactical changes, implementing programmes without any clear strategy. However, we are now seeing a change in the tide, and employers are beginning to recognise the need to develop a wellbeing strategy aligned to business issues such as low employee engagement, high health-related benefit costs, high absence rates and low productivity levels. Aligning a strategy to business issues also helps to build the business case and gain support from senior leadership, and enables clear measurement practices to be implemented. High engagement in programmes is key to their success, and therefore action needs to be taken to encourage participation – so is this achieved through incentives or education? What is stopping employers from changing employee behaviour? The Towers Watson Staying@Work survey 2013/14 found that a lack of budget was the primary barrier. Perhaps senior leadership does not appreciate the benefits that good employee wellbeing creates? A lack of health engagement was the second major barrier with a lack of evidence on returns being the third, with a lack of evidence on returns being the third. 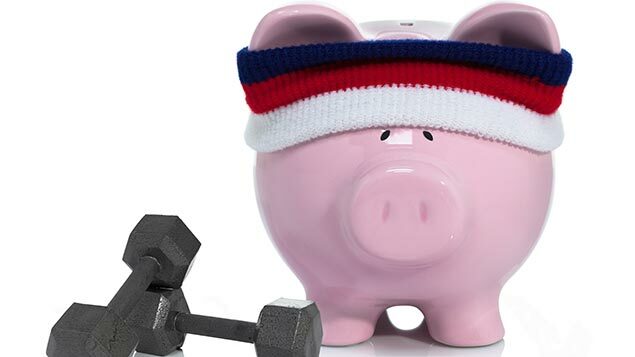 A lack of financial incentives was ranked in fifth place, suggesting that employees are not seeking rewards for taking part or switching to a healthier lifestyle. 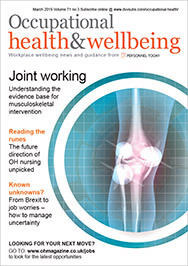 The Towers Watson Global Benefits Attitudes Survey 2013/14 considered the links between health and worker effectiveness and whether or not employees could identify these links. When asked if employees who are in good health are more productive at work than those in poor health, 67% recognised this link, with 27% feeling unsure as to whether or not this link exists. However, when asked if employees who live a healthy lifestyle are more productive than those that do not, only 46% identified this link. This clearly suggests that there is an opportunity for employers to educate employees more effectively on the effects of a healthy lifestyle. The survey asked employees to give their views on employer involvement in helping them develop a healthier lifestyle. It also asked if employers should take an active role in encouraging their employees to live a healthier lifestyle, and 38% said yes. However, only 36% of staff considered employers had a role in supporting employees. Are employees telling us that they do not really understand how their employer can support them? On the subject of incentives, 31% of employees were receptive to the use of rewards, with 47% less sure of their role. Our experience tells us that employees are not necessarily looking for high-value cash awards, but often prefer discounts on leisure activities or wellnessrelated items. However, for many, it is the peace of mind that participation in programmes gives that drives engagement. Our results enabled us to profile employees into three groups: those that are onboard; persuadable; or resistant. When we considered activities undertaken by each group and whether or not they took part in activities offered by their employer or at a personal level, this gave us a good insight into behaviours and opportunities. While a reasonable proportion of employees are taking part in health activities at a personal level, employers may choose to focus on those who are not participating in any activity but who fall into the onboard or persuadable groups and are therefore receptive to more support. It is widely accepted that effective communication is key to driving health engagement. Recognising the profiles of employee groups and targeting these groups can increase impact. Applying behavioural economics techniques to establish employee values, motivational drivers, and decision-making factors ensures that an impact is made. Using social media and gaming also helps to raise awareness. Quite simply, if telling people what they needed to do was enough, we would all be healthy. Employers have a role in creating a culture of health in the workplace. Our research suggests that there is potentially a place for incentives; however, employees are not looking for the high-cost rewards prevalent in a US market, which is driven by high healthcare costs. Instead, they may be equally driven by an effective and impactful education programme and one that encourages them to buy into health and embark on a lifestyle change without the need for any incentives. What is clear is that health engagement needs to be encouraged, and employers may hold the key to achieving this. Rebecca Haymes is senior consultant, health and group benefits, at Towers Watson.